Growing commercial application of laser technology to medicine and the potential market for optical coherence tomography in cardiovascular disease diagnosis. Fujikura Europe’s advanced splicing technology, which includes high-end CO2 laser heating systems, enable cleaner splicing with no contamination, no electrodes for low maintenance costs and little or no instability at all. Alongside the new products Fujikura will also be providing engineering and optimisation services in specialty splicing for fibre preparation applications. These include custom hardware or software design, process improvement consultation and advanced splicer training. A typical CO2 laser has an output power fluctuation of ±5 per cent which produces inconsistent splicing results and may cause irregularity and ripple in a taper profile. Fujikura’s new products for biomedical industries have a power stability feature which allows a stable laser output enabling highly repeatable processes. With an integrated closed-loop feedback system and real-time measurement function, both splice loss and peak-to-peak taper ripple are also greatly reduced. Growing commercial application of laser technology to medicine and the potential market for optical coherence tomography (OCT) to be used in cardiovascular disease diagnosis is enormous. In Japan alone, it is estimated that some 245,000 stent procedures (coronary angioplasties) are performed each year to treat cardiovascular disease. Of those, nearly 80 per cent are believed to use an imaging technique. Launched in Japan, the imaging technique provides physicians with a better view of narrowed coronary arteries to diagnose and treat coronary artery disease. Many types of optical fibre terminal processing are enabled by the use of Fujikura’s fusion splicing equipment, including stripping, cutting and splicing processing necessary for the manufacture of such medical applications. * ARCMaster series: Whether splicing similar fibre types or double clad Large Diameter Fibres (LDF) for high power lasers, the ARCMaster series provides multiple solutions. With State of the ARC technology, the ARCMaster consists of a Split V-Groove fibre clamping system which accommodates optical fibre ranges from 60 to 1200 µm for cladding without changing v-grooves or fibre clamps. 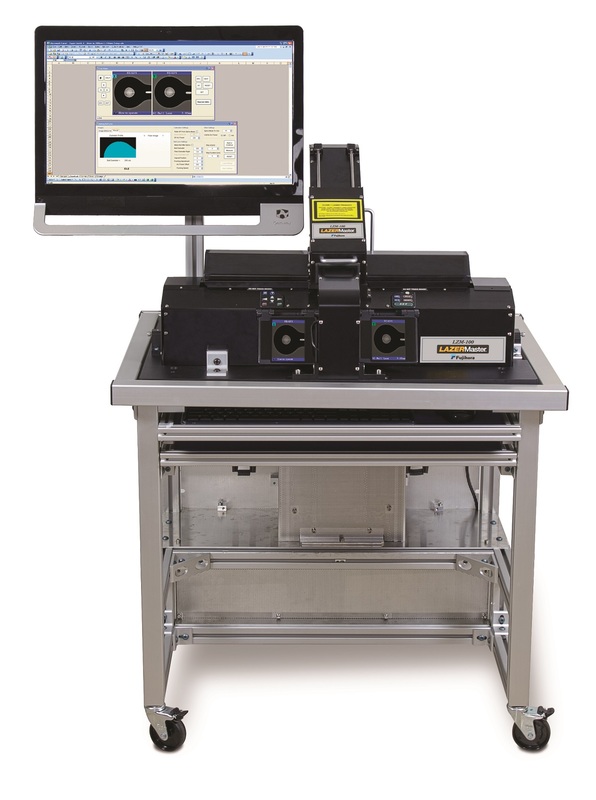 The Plasma Zone fibre positioning system incorporates multiple fibre and electrode positioning techniques to provide unprecedented versatility for splicing LDF, heat sensitive or small diameter fibres. The Fujikura PCS-100 (Polyimide Fibre Coating Stripper) offers splicing technology that uses mechanical stripping methods. Polyimide-based optical fibres are widely used in the oil, gas and medical industries as superior heat and chemical resistance to conventional UV curable coating material. * LAZERMaster series: A customised CO2 laser splicing and glass processing system that brings many advantages to the market such as a clean and stabilised CO2 laser heat source and advanced feedback control techniques. The LAZERMaster uses a Warm Tapering Imaging (WTI) monitoring system for precise control of heating power. The WTI brightness level is captured in real time during the tapering and the value is used to adjust the CO2 laser output power to a level appropriate for the decreasing mass of a fibre as it is tapered to a smaller diameter. The LAZERMaster also has specially designed onboard firmware enabling operations to be performed automatically, manually or remotely through a PC. It has large diameter fibre splicing capabilities up to 2.3mm and long tapering capabilities up to 150mm and beam size and shape can be customised to meet specific requirements to enable it to be used for fused glass component development and mass scale production.